The Australian-American Fulbright Commission is now accepting Scholarship applications for 2016. Postgraduate, Postdoctoral, Professional and Senior Scholar candidates, as well as exceptional Australian academics interested the Fulbright Distinguished Chair in Agriculture & Life Sciences, are invited to submit applications until the August 1 deadline. Australian candidates should see our website to apply. The Commission also offers a diverse variety of Scholarships for U.S. Postgraduate and Senior Scholar candidates. As well as our general scholarships, we offer five of the prestigious Fulbright Distinguished Chair positions at our partner universities and institutions across Australia. For more information on Fulbright Scholarships for Americans, see our website. The 2015 Fulbright Roadshow wrapped up in Canberra this week, and the Commission would like to take this opportunity to express our most sincere thanks to all those who dedicated their time to participate and help make the events such a grand success. To the Vice Chancellors, executive faculty representatives and events coordinators from our State & Territory Hosts: Queensland University of Technology, Charles Darwin University, University of Technology Sydney, RMIT University, University of Tasmania, University of Adelaide, Curtin University and University of Canberra, thank you all for having us on your campuses and for your tireless preparations in the lead up to our events. Thank you to our Board Members and all of the Representatives of the Australian and U.S. 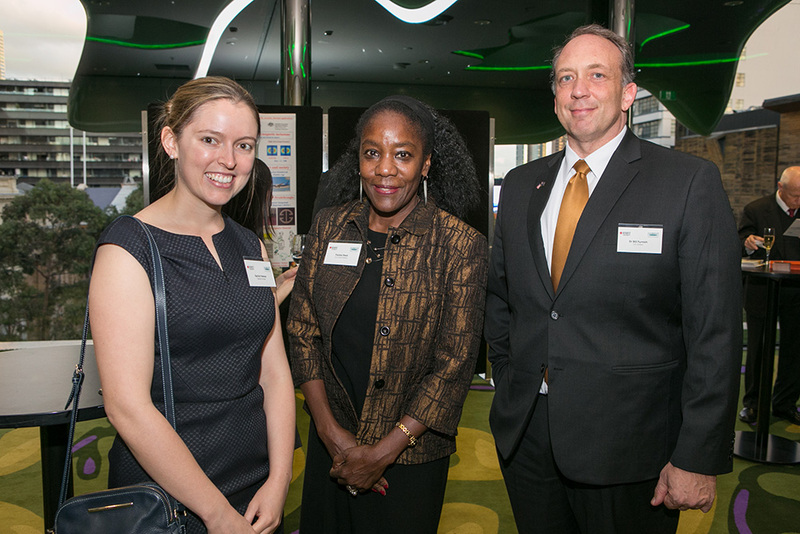 Governments who were involved – we were honoured to welcome the U.S. Consul Generals Mr Hugo Llorens, Ms Frankie Reed and Ms Cynthia Griffin to our reception events in their respective jurisdictions, as well as Her Excellency Professor The Honourable Kate Warner AM, Governor of Tasmania! We had a fantastic turnout to all of our information sessions, and look forward to receiving applications from the many potential candidates across Australia who engaged with us. After travelling across Australia for the 2015 Fulbright Roadshow, I’m once again amazed at the level of enthusiasm and excitement demonstrated by potential Fulbright candidates from Australian universities and institutions. Our new targeted format was very well received, and we hope to build on this new capacity to expand our outreach and increase the educational and cultural exchange opportunities for both Australians and Americans. 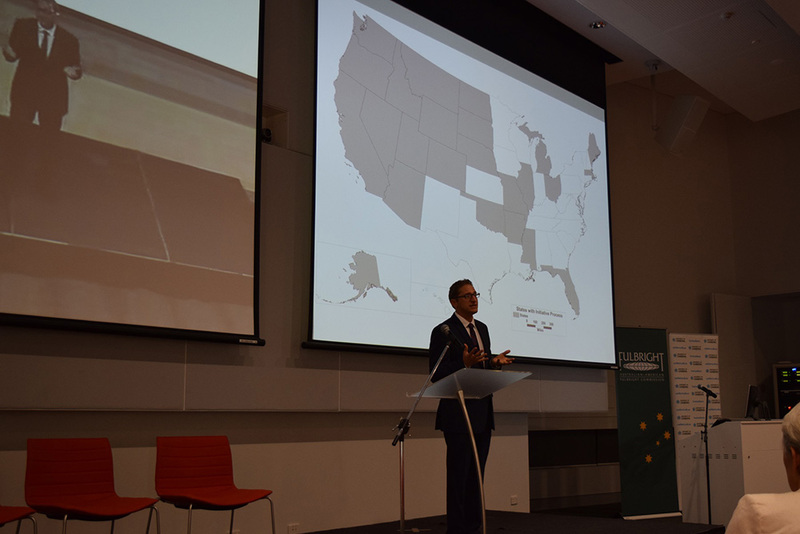 I’d like to thank all of our Fulbright State & Territory Hosts, my staff at the Commission, and all of the individuals who helped us plan and execute our events across Australia – your involvement was pivotal to the success of the Fulbright Roadshow. I’d also like to express our dearest gratitude to U.S. Consul Generals Mr Hugo Llorens, Ms Frankie Reed and Ms Cynthia Griffin, as well as Her Excellency Professor The Honourable Kate Warner AM, Governor of Tasmania. 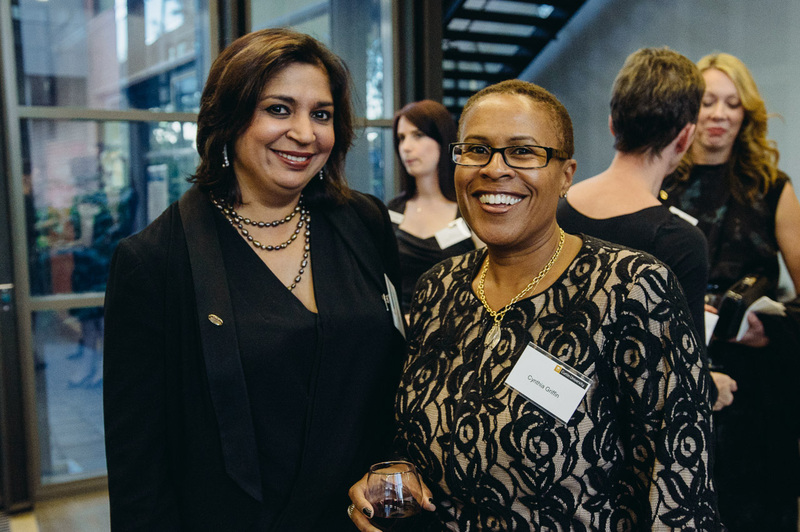 We were truly honoured to have such esteemed guests at our events. We also celebrated the launch of our 2013 Fulbright Symposium Proceedings – a publication nearly two years in the making. This collection of insights, ideas and personal experiences from our cohort of nearly 40 speakers will be available on our website in June. The Commission is now actively engaged in promotion for the 2016 Fulbright Scholarships round, and we look forward to hearing from the next round of Australia’s best & brightest students, academics and professionals. As our 2015 Fulbright Roadshow came to an end, so did the Fulbright Distinguished Chair Public Lecture Series. Professor Thad Kousser, Fulbright-Flinders Distinguished Chair in American Political Science, and Professor Richard Ziolkowski, Fulbright Distinguished Chair in Advance Science & Technology delivered enthralling public lectures for our Fulbright State & Territory Day events, and you can view video recordings of them on our website. 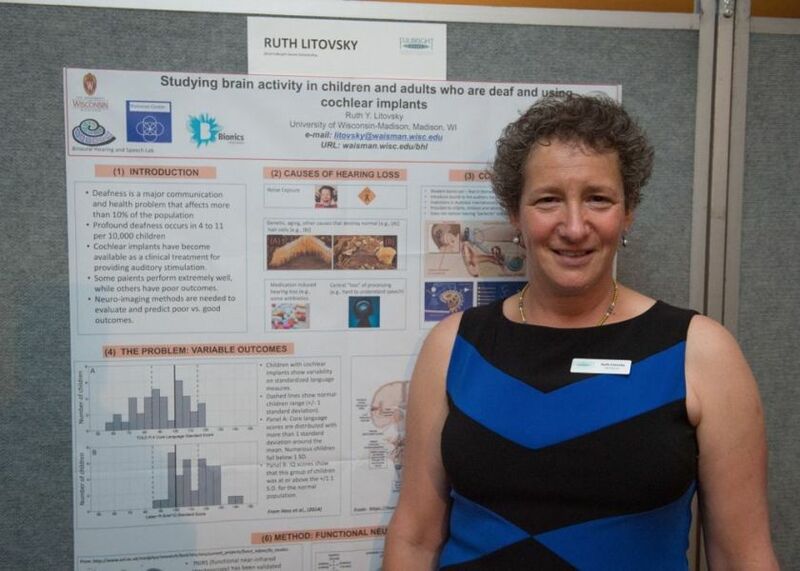 During our 2015 Fulbright Scholar Showcase in Perth, we worked with the staff at the U.S. Embassy to develop a series of video interviews with our 2015 Fulbright Australian and 2014 Fulbright U.S. Scholars. The Faces of Fulbright initiative grants insight into the research and aspirations of our current Scholars, as well as providing a rare, candid glimpse of the diverse personalities found within the Fulbright program. The interviews will be uploaded incrementally as the series is released. 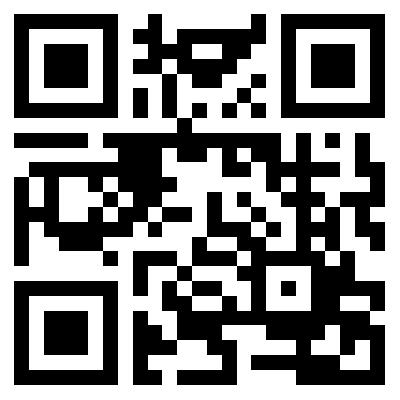 Check our Facebook page and website each week to see them all. We are very grateful to the U.S. Embassy, Canberra for making the Faces of Fulbright series possible. 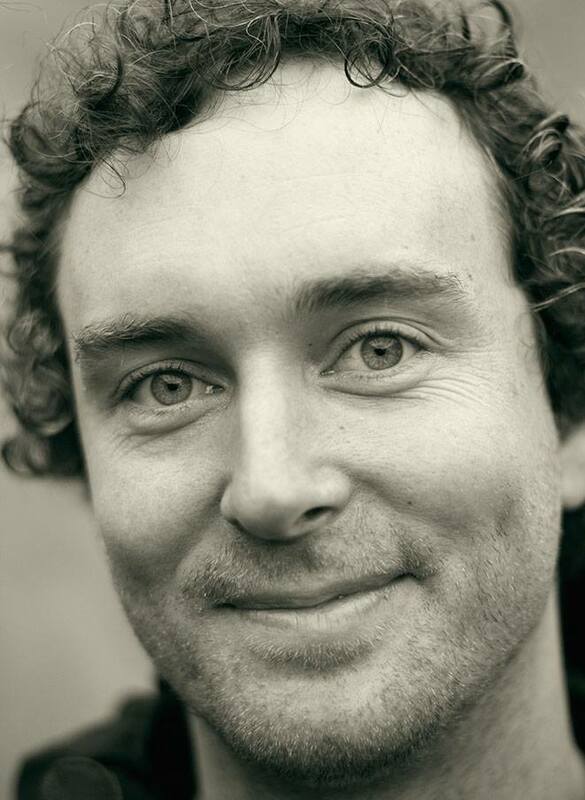 We sat down with 2015 Fulbright Postdoctoral Scholar Dr William Feeney to find out what winning a Fulbright Scholarship means to him and his research. Read more to find out about this fascinating Scholar. What does winning a Fulbright Scholarship mean to you? Hearing that I had won a Fulbright Scholarship was very exciting news. I am well aware that the Fulbright Alumni network comprises extremely accomplished and successful people, and it is humbling to be accepted into the program as one of their peers. It is also giving me the opportunity to work in the United States with Dr Danielle Dixson, a world leader in understanding how climate change affects the ecology of marine organisms; an opportunity that would not otherwise be available to me. Why did you choose the Georgia Institute of Technology as your host institution? 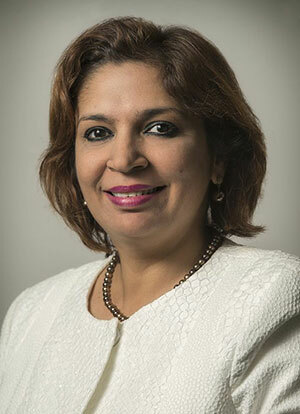 I chose the Georgia Institute of Technology as that is where Dr Danielle Dixson is based since 2011. In that time she has established her lab as a formidable force for understanding how climate change will affect the ecology of marine organisms, and the consequences of this for the conservation of marine biodiversity. I understand your research will focus on mutualistic interactions between coral reef fishes and whether mutualistic interactions will help the involved species cope with their changing environment. How will a greater understanding of this help conservation and managing the effects of climate change? Coral reefs are amongst the most biodiverse ecosystems on Earth, and are home to a number of species that are obligate mutualists: that is, their ecology is linked with one, or a number of other species in a cooperative manner. These types of interactions are both ecologically and evolutionarily interesting, and study of these interactions has potential implications for understanding, and conserving marine biodiversity. For example, we first need to understand whether mutualistic species promote local biodiversity through their cooperative interactions. Generally, this seems to be the case, but more research is needed. Next, we need to assess how these interactions fare under changing environmental conditions: do these interactions make the involved species more, or less resilient to changing conditions? Together, these questions have the potential to highlight the importance of mutualistic species (or interactions) for generating/conserving local biodiversity, and their importance as key species for conservation efforts. Given coral reefs are found in tropical waters around the world, your work appears of global importance – does this scholarship provide you to work with GIT to have a global impact on conserving biodiversity? The prospect of applying the findings of research to aid conservation efforts is something that excites me. Dr Dixson's research has tangible implications for conservation, and this is why I applied for a Fulbright Fellowship to work in her lab. Ultimately, I would like to learn from this lab, and bring these skills back to the University of Queensland. As a Fulbright US Scholar in Australia in the first half of 2015, I have gained a tremendous opportunity to work in a place with an unprecedented history in my field of research. In addition, I have had invaluable learning opportunities in areas of history, art, nature, culture and cuisine. 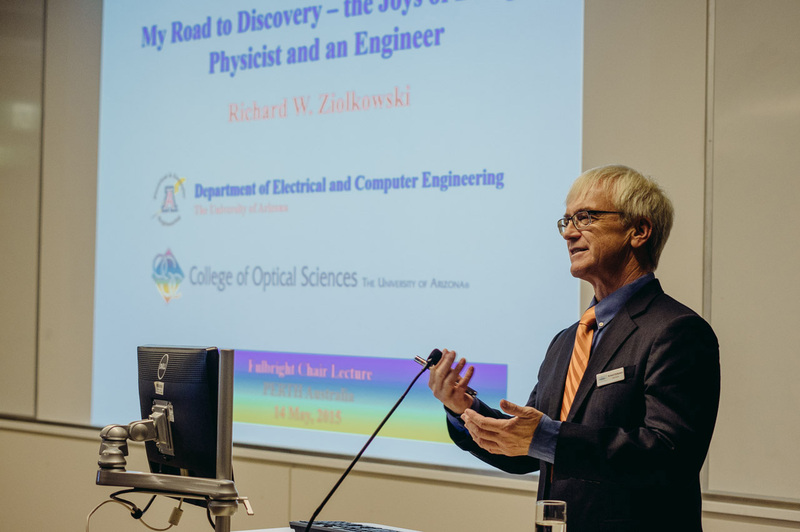 While my original goal was to develop research collaborations that would ultimately enhance my opportunities in the domain of science, what I gained more than anything else is a deep appreciation of the Australian heritage, culture and traditions. The history of the indigenous people provides a deep undercurrent to the cultural and educational events, runs through the veins of the networks of people and buildings whose appreciation for the long-gone traditions bring the past into the present. The respect for traditions along with international influence is unlike that which I have seen or experienced before. The natural connectedness to the nearest geographical locals has additionally drawn me to be much more deeply connected to Asia and the southern hemisphere. From a social perspective, I felt immediately comfortable and welcome here. As someone who enjoys learning about places through connections with people, Melbourne was therefore a perfect place for my Fulbright scholarship. I have found that people are open, kind and generous with their time. I now understand why every Australian scientist that I have met around the world at research conferences has attracted my attention. Their scientific work is generally impeccable, their demeanour is easy going and inviting, and their love for science is embedded in a broader love for life. Perhaps it is because Australia is just so very far away from the USA and Europe, the dominant locals of 21st century science. What I absorbed here and hope to take back to my home institution is a renewed love for knowledge and communication of ideas. In sum, the experience afforded by the Fulbright has been very different than what I would have experienced had I only been able to come to Australia for as brief visit. The impact on my life has been a broader understanding of the cultural, political and social issues that Australians face. I have learned a great deal about the successes and challenges of the colleagues and friends that I have met here. There are some similarities between the USA and Australia, but above all there are numerous differences and I will cherish the eye-opening experiences that I have had here. 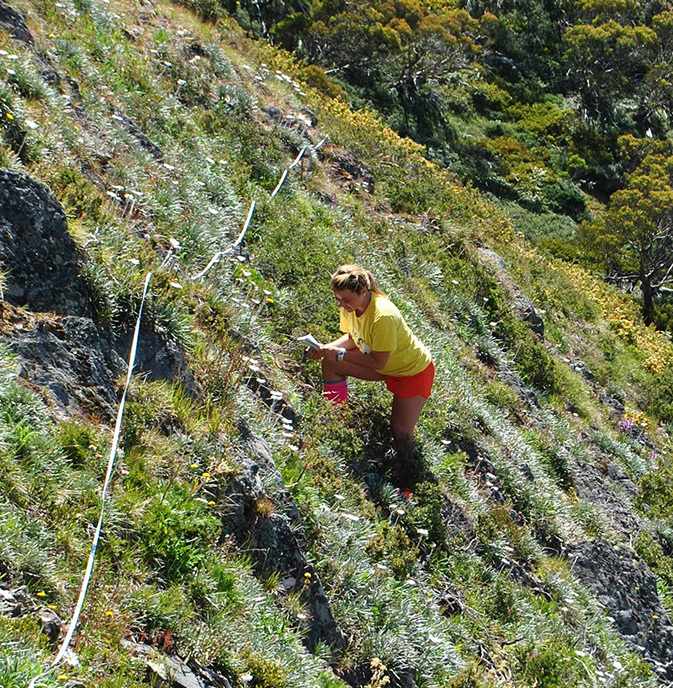 I’ve been at the University of Melbourne researching alpine ecosystems and their response to climate change. I have chipped away at the genome of Stylidium armeria (the thrift-leaved trigger plant) and found the lab work incredibly rewarding. Almost by accident, I discovered the first instance of asexual reproduction in this species, and possibly the entire genus. My work with Bio21 will be an ongoing collaboration, and hopefully I will return to this lab to work one day. Because of the challenges of working with Stylidium I’ve reached out to experts all over Australia, and made many connections along the way. My samples are now registered at the Royal Botanic Gardens in Melbourne, and the Swedish Botanic Gardens. I presented at Laborastory, a piece of stand-up comedy and storytelling at a pub, and it sparked an interest in scientific communication that I’m going to continue with throughout my career. One of my favourite moments in the mountains was seeing a wolf spider for the first time. Lucy told me to hold a piece of grass in front of the impossibly large hole, and the spider would try to grab the “insect.” I assumed this wouldn’t work, so I lazily held a far-too-short blade of grass, twisting it carelessly and half paying attention. When the enormous half-spider, half-chewbacca flashed in front of the hole I let out a scream you could hear back in Melbourne and sprinted 100 meters away before I collapsed into laughter. Lucy was laughing so hard she had crumpled over, and when I caught my breath I knew we were going to be very good friends for a very long time. We would go swimming in the icy reservoir up in Falls Creek, a pristine bath well earned after a hard day of sweaty field work, and once we treated ourselves to the slippery pool under a waterfall. These crystal-clear rivers and the snow white eucalyptus covering the mountains like a wise man’s five o-clock shadow are what I never would have expected from Australia. I came prepared to try all the adventure adrenaline rushes - the skydiving, surfing, scuba diving, bungee jumping - and I loved every minute of those. However, the moments that surprised me, where I thought about who I am and who I want to be came from the peaceful mountains peppered with wildflowers. I will sincerely miss the piece of Melbourne I’ve become, but I have so many gems to take with me for my next adventure. The majestic coastlines skirting Australia’s Great Barrier Reef are home to over seventy Aboriginal and Torres Strait Islander clan groups with deep cultural, spiritual and economic ties to the Reef dating back tens of thousands of years. These ancient cultures possess a wealth of both traditional and applied knowledge of Australia’s marine systems that should inform conservation and management of these invaluable, and increasingly threatened, marine resources. However, while 2.5% of Australians identify as Aboriginal and/or Torres Strait Islander, Indigenous Australians account for only 0.3% of staff in major Australian science roles. This gap between the potential of Indigenous Australians and the opportunities available to them in marine science and management led me to found Aboriginals and Torres Strait Islanders in Marine Science (ATSIMS). 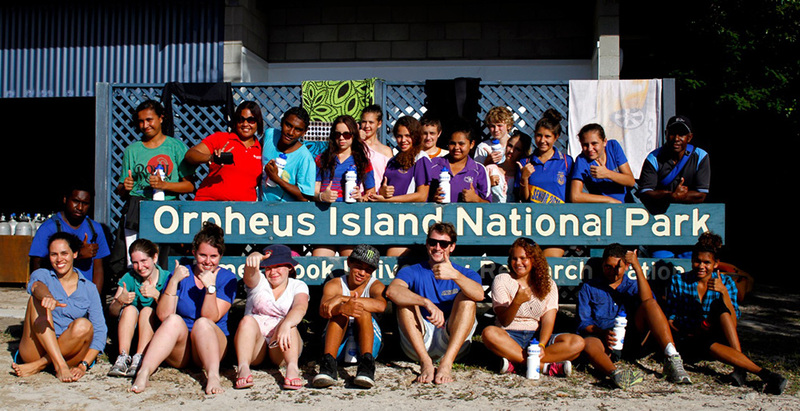 ATSIMS aims to inspire Indigenous high school students to pursue careers in marine science and management and prepares them to succeed in these critically important fields. Under the guidance of marine researchers and Indigenous leaders, students undertake a month-long program of hands-on, field-based learning. 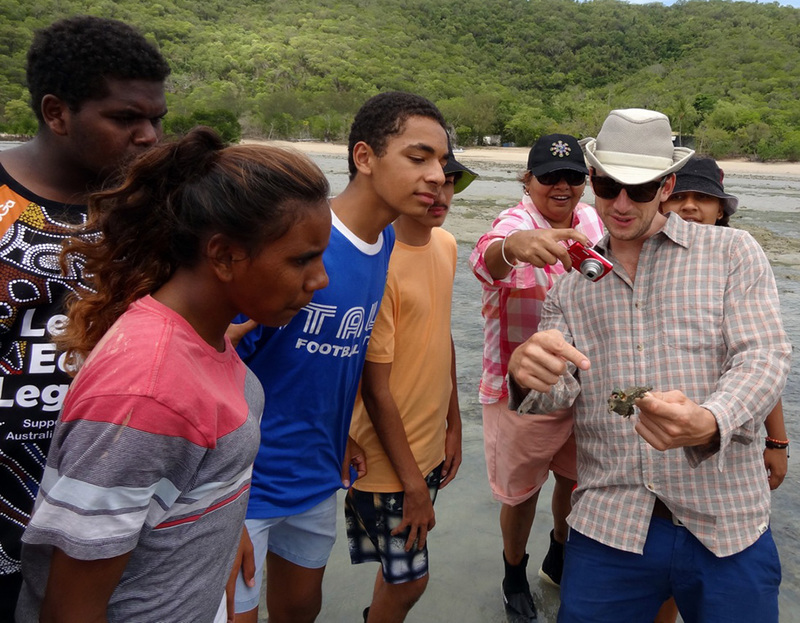 Our students participate in interactive in-class workshops and come face-to-face with fish and coral during a weekend-long field experience at Orpheus Island Research Station. ATSIMS scholars also tour the Australian Institute of Marine Science’s $35 million National Sea Simulator and experience life as undergraduate students at James Cook University. I am delighted to report the ATSIMS program is now entering its third year. We have now worked with 120 students from schools spanning a 200km stretch of the North Queensland coast and in June another cohort of 40 bright Indigenous scholars will join the ranks of ATSIMS alumni. While there is still another year before the first cohort of ATSIMS scholars enters University, there are already promising signs pointing towards their potential for future success. Since completing our program, participating schools have reported that nearly 90% of the ATSIMS alumni improved their science marks and that more than 50% moved up an entire letter grade. Students’ self-reported interest in attending University also more than doubled over the course of the program. When I came to Australia as a Fulbright scholar in 2008, my research had nothing to do with Indigenous cultures or community outreach. I was investigating drivers of coral reef decline from a genetic and microbiological perspective, but this project brought me to remote coastal communities where I had the unique privilege of meeting the truly amazing Indigenous elders who ultimately inspired me to found ATSIMS. On behalf of the 120 (and counting) ATSIMS alumni and myself, I sincerely thank the Australian-American Fulbright Commission for facilitating this unintended, but incredibly fruitful, cross-cultural exchange. 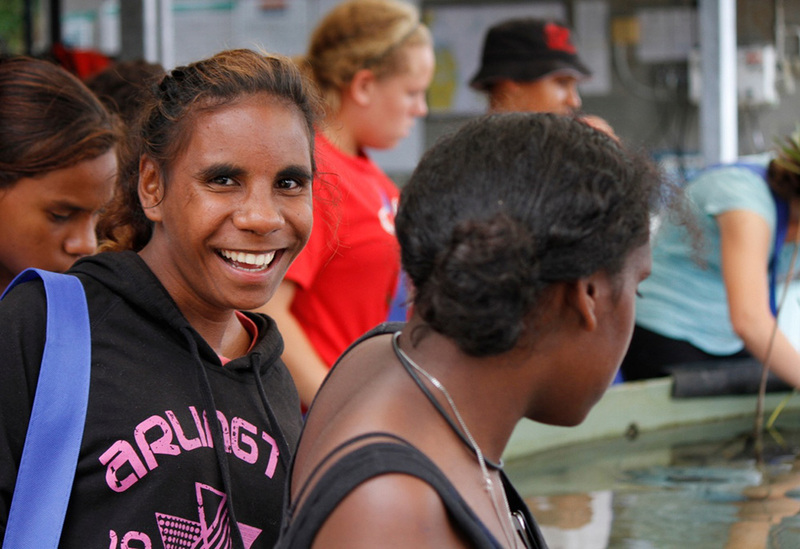 I truly believe that the strengthened connections ATSIMS is helping to build between western science and traditional knowledge will benefit not only the students we work with, but also the communities they come from and ultimately the Great Barrier Reef as a whole. 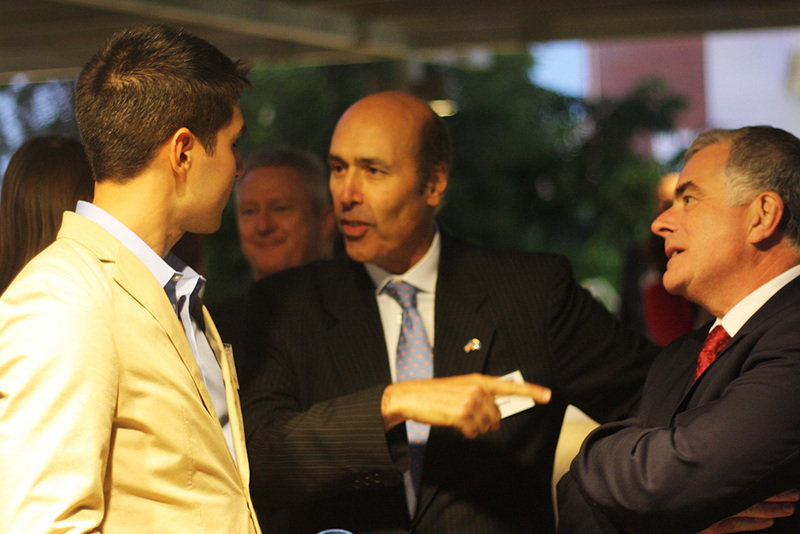 The Australian-American Fulbright Commission values the support and generosity of our Partners and Sponsors. CLICK HERE for more details about our Partners and Sponsors.